Purchasing links are included next to each cover. 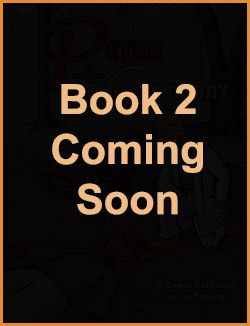 Note: Signed & Sketched copies of the books are no longer available to order online. These will only be available in limited quantities at conventions and other appearances. Featuring the first 75 comic strips from the online archives, plus comics #76-100 remastered in full color! 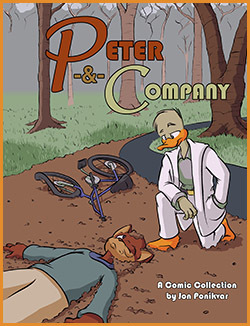 Also includes a book-exclusive story arc showing how Peter and Seth first meet!